A sermon preached by Christopher L. Webber on the Last Sunday after Epiphany, February 15, 2015, at the Church of the Incarnation, San Francisco. A number of years ago my brother and I and some of our children set out to climb Mt. 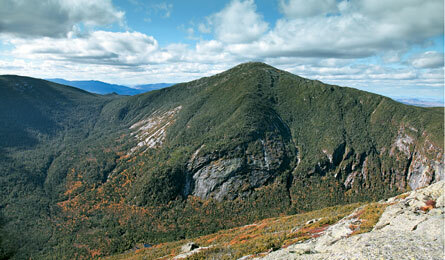 Marcy which is in the Adirondacks, and the highest mountain in the state of New York. just over a mile high. 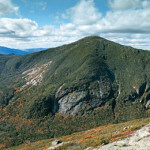 The peak of Marcy is over 5,000 ft above sea level. The surface of Lake Tahoe is over 6,000 fet above sea level, but you can get to Lake Tahoe by car and you have to walk to get to the top of Marcy. We planned a three day trip: one day to get near the peak, a second day to climb it, and a third day to get back out. The first day was gray and overcast and as we got near our planned campsite it began to rain. A discouraging start, but the next day was bright and clear. We reached the peak in time for lunch and it was one of those days when it really seemed you could see for ever. Vermont to the east, Canada to the north; except for the curve of the earth we could probably have seen Tahoe to the west. The third day it rained again and we hiked out through a drenching downpour, but we had that one perfect day on top of the mountain and the memory of it still shines, still has a kind of glow. Mountain tops are made for seeing. Hillary said he wanted to climb Mt Everest “because it was there,” but I think the real attraction of mountain climbing is that feeling of unlimited vision, that sense of having a totally new perspective on the world and its problems. You can see in all directions, and there’s a new, far clearer sense of the relationship between places – Canada, California, Connecticut – and the relationship between ourselves and our world, and between ourselves, humankind, and God. All of that is, as we say, “enlightening.” It’s not just that mountain tops are places of light, of sunshine and clear air, but I think we could say that they throw light on our world and on our own lives, showing us, revealing to us, a new, clearer understanding of life, of our lives, of meaning and purpose. Now some such thing happened to three of Jesus’ disciples. They went with him to a mountain top – and something happened. They saw in a new way, in a clearer light, who Jesus was and what his life signified, and where it was going, and what they were being called to do. And then, for them, looking back, remembering, there was a kind of glow around that day, around that moment. The figure of Jesus began to stand out more clearly, and especially in relationship to Moses and Elijah, to the law and the prophets, to the working out of God’s purpose. Now don’t misunderstand what I’m trying to say. There is a way of reading the Bible that sets out to remove the mysteries, to explain away anything out of the ordinary. “Well, the Bible says this, but what really happened was that.” That’s not my point. Light is, of course, a symbol. If you see a cartoon character with a light bulb above his head, you know that means, “I’ve had an idea.” We’re not supposed to take the light bulb literally. But we use that symbol because we do need light to see. You might get an idea in the dark, in the middle of the night, but you will need light to work it out, put it in practice. Without the light of the sun to see our world, life itself would be impossible. There would be no vision, no understanding, no life at all as we know it. So light isn’t “just a symbol.” Light is the source of life; it’s the source of ideas and understanding. When we are told that Jesus on the mountain seemed to glow with a shining light, a transfiguring glory, you can picture that however you please, but the point remains the same: suddenly, for the first time, the disciples saw Jesus with a clarity that they would never forget, they understood better than ever before. The Gospel of John is the only one that doesn’t describe this event, but much more emphatically than the others, John says: “We have seen his glory, the glory of the one and only Son who came from the Father, full of grace and truth.” Light is the source of understanding, and the gospel is clear: Jesus is the light of the world; in him and through him we come to understand who we are and the meaning and purpose of life. And that is still true, whether we are there on the mountain top with the disciples or not. They saw a dazzling light and they began to understand. We need no dazzling light; but Jesus still enlightens us today however we come to know him. So we are here at the beginning of Lent, and Lent is a time of growing light. The word itself comes from the word “lengthen” – it’s the time of lengthening days, growing light. This coming Lent can be a time of growing light for all of us – inwardly as well as outside in the returning sunshine if we take time for prayer, for Bible study, for worship, for service. However we use our time to come closer to Jesus’ life, we’ll have more light, more understanding, a clearer view of the meaning and purpose of our own life as a result. You’ve seen, of course, pictures of Jesus, pictures of the disciples, pictures of the saints in which there’s a halo of light around their heads. Why do artists do that? At one level it’s only confusing, misleading. We look around and there aren’t any circles over people’s heads and we think, “Well, the day of saints is over.” If we take the time in the returning sunshine of Lent, of spring-time, if we take time for prayer, for Bible study, for worship, for service – however we use our time to come closer to Jesus’ life – we’ll have more light, more understanding, in and around our own heads whether people see the haloes or not. What often happens, of course, is that we hear the word “saint” and we think about those halos and we look around and we don’t see any and so we conclude that there just aren’t any saints in the world anymore. But of course First Century people couldn’t spot saints by their halos anymore easily than we can today. But the pictures leave that sub-conscious impression that saints should glow, literally glow. And they do glow, but not with a circle of fluorescent light. The saints are the ones we learn from, the ones who teach us, the ones who show us what life can be like. And the world is full of them. And an artist can show that with a light bulb or a halo if she wants, but the glory of the saints is something far more valuable than mere kilowatts: it’s a depth of understanding, a faithfulness in service, that shines out in many people, and many ways in a dark world. So where does literal language end and symbolic language begin? I’m not sure it matters. Think how we use words in talking about nuclear weapons, one of the most divisive issues of our day. Isn’t it interesting that that one weapon, unlike any other in its destructive power and which, if our prayers are answered, will never be used again throws so much light on the human race and on each one of us. The explosion of an atomic bomb has been described as “brighter than a thousand suns.” And in a strange way it does illuminate so much about us, about our national priorities, our fears, our deepest concerns. And that’s not entirely bad. It’s good to be forced to look very clearly at what the real issues are and how we should deal with them and what we value It’s good to be forced to look at basic issues of human relationships: at the fears and insecurities and hostilities that divide us. Certainly that could be true in our relationship with Iran and North Korea. Wherever there’s nuclear power, there’s the potential for disastrous miscalculations and catastrophe. But also, I think, the greatest potential evil the world has ever faced could be a means of salvation by forcing us to confront the evil and the potential for good: the potential evil if we continue to be ruled by fear and sacrifice all the good things of this planet, the lives and hopes of millions, to destruction instead of creation. But at the same time there’s the potential for a whole new world if we finally recognize our need for each other and find ways to work together for the common good. Then light will truly have dawned for us all. And carry the picture one step further. It isn’t that blinding light that we fear in nuclear weapons; the destructive force is not the light but the heat and the shock waves. And so, too, in much of the debate over defense and nuclear arms, it’s light we need in order to understand; but it’s heat and power politics that we often get instead. It seems to me that if we could learn in our local communities to seek only for light and avoid any use of anger and bitterness, of heat and force, then we would be on the right path for understanding and growth and life. But that’s only one example, and maybe not the best simply because it does generate so much heat and power that it’s hard to see clearly, hard to analyze our own motives, hard to be patient and understanding and charitable. There might be simpler examples but this is one we do have to face, like it or not. Just as other generations have had to deal with civil war and slavery or world war and depression, so this generation still has to face the issue of nuclear weapons in Iran and N.Korea – to say nothing of Russia and the United States and Israel. And if we are faithful, if we can discipline ourselves to look only for light, it might be that we really could stand at a turning point in the history of the world and the final opening out of the full potential for which God made us. The story of the Transfiguration tells us that as the glory of Jesus began to fade, Peter said something just as dumb. He said. “Let us put up three shelters.” Maybe he thought they could stay there for ever just basking in the light. Luke’s gospel adds, “He did not know what he was saying.” He knew he’d seen glory, but it would take time for the meaning to work its way down into the reality of his life. So too for us. Week by week we come here and Jesus is here and the glory breaks through in the prayers and liturgy and music and sacrament and we’re tempted to try to contain it within these walls. We may even be reluctant to go back outside and try to walk by the light of that glory. We may well be afraid to look at our world and our lives with the clarity Jesus could give; afraid to let that light shine and to live by that light wherever we are. So maybe we need that “first revelation” of our own foolishness, our own weakness, our own dependence on a light that seldom breaks in on us in all its dazzling power, seldom sits above our heads like a halo, seldom completely overpowers us. Maybe it would help if we were content – as St. Paul put it once – to be “fools for Christ’s sake,” if we were content to follow an inner light that might set a different priority for us than for many others even of our friends and family and neighbors. And maybe what we need most to know is this, that the Transfiguration of Jesus didn’t stop when they came down the mountain nor did the light go out. The artists who show Peter and James and John and the other followers of Jesus with halos, with a glow of light shining out of them are right. The light they had seen, the understanding they had gained, began to change their lives, and the glory of Jesus began to be seen in them. You see, the light of the Transfiguration, isn’t a one-time display but a center from which light spreads. And it continues to spread. And you and I, however slowly and dimly, are called to be part of that spreading circle of light. If we respond with patience and faithfulness and offer ourselves, our lives, to spread that light, that gospel, that good news, then the Transfiguration will not be just a past event on a distant mountain but a future for all the human race. And that would indeed be glory.